At TS Freight, we offer our clients who are looking for fast and efficient import from China to Italy a wide variety of cargo shipping to Italy services. As China’s premium International freight service provider, we guarantee that we will look after your cargo right from the time we pick it up from your doorstep, to the time it has been safely delivered to the final destination in Italy. We are a one-stop logistics solution provider and do not just handle actual transportation jobs for cargo shipping from China to Italy, but all the other small nuances that are an inevitable part of the import from China to Italy process. From handling documentation to inventory details to custom clearances to loading and unloading, we ensure that once we take up your project we see it through from start to end with absolutely no supervision needed from your end. 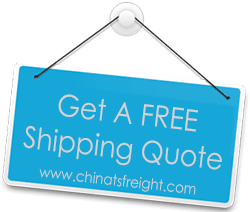 We pick your cargo and ship it from all major cities in China, including Tianjin, Dalian, Guangzhou, Shenzhen, Shanghai, Ningbo, Xiamen, Hong Kong, Hangzhou, etc. Our cargo shipping from China to Italy network is quite widespread and we deliver to cities like Rome, Naples, Milan, Turin, Bologna, Genoa, Bari, Florence, and Venice in Italy. Based on the nature of your cargo and the exact needs of your business, we offer both sea freight and air freight services and guarantee to device for you the most cost effective transportation plan that never compromises on efficiency or safety. At TS Freight, we put the needs of the client first and will customize our logistics plans to incorporate all your special requests, while adhering to the strictest of quality standards to offer you 100% customer satisfaction.